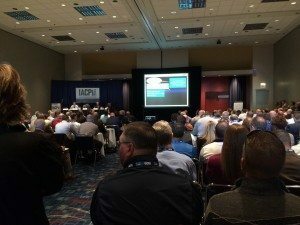 IACP in Chicago – Amazing experience! 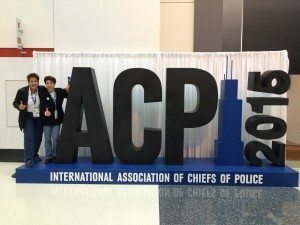 Although our goal in going to IACP was to meet and greet the upper brass, and to pitch our Racial Intelligence programs, what we got was much more than we thought possible. 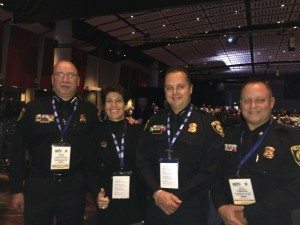 Our meetings with Police Chiefs from Canada to California, walking the show floor and seeing what’s new and innovative, to taking some great educational programs, our hearts became filled with much love for all law enforcement. We watched the #WhyIWearTheBadge wall go from white to filled with ink. As much as we’ve all seen the media tell us what’s wrong with police departments, there is so much that’s right, that is not made public. This wall stood large and loud, as officers from around the globe proudly added their names to this grand wall. #WhyIWearTheBadge is a campaign designed to highlight the diversity and commitment of the law enforcement profession. 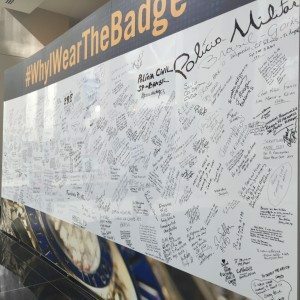 The badge is a symbol of courage, strength, and integrity. With the display of the badge comes great responsibility. 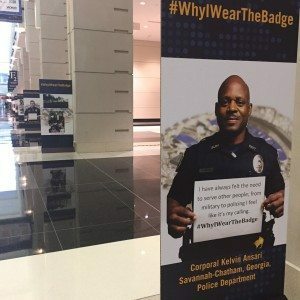 So why do hundreds of thousands of men and women wear the badge each day? 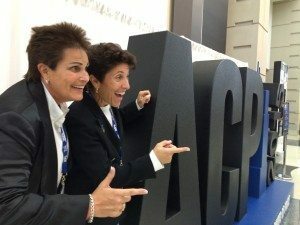 Watch this 2 minute video that speaks so clearly why the IACP and officers around the world stand tall, and stick together no matter what is thrown at them. 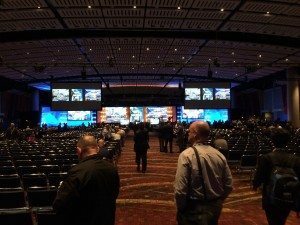 The RITE Academy is dedicated to bringing Racial Intelligence Training inside the walls of law enforcement, and onto the streets of the communities they serve. 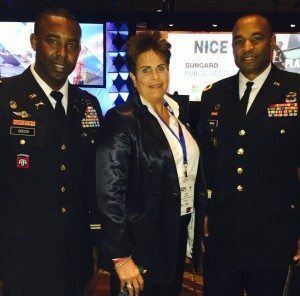 Our key model EI+SI=RI combines Emotional Intelligence (EI) PLUS Social Intelligence (SI), unlocks the doors to Racial Intelligence (RI). RITE Academy Celebrates National Night Out – Give crime a going-away party! 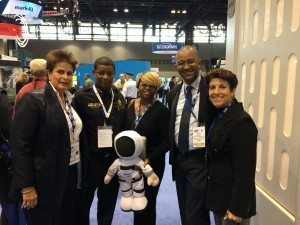 Loved the video, I have high hopes that we bridge the gap between the citizens and the police. Indeed Joseph, together we can do just that!